Happy New Year from Crypto.com! 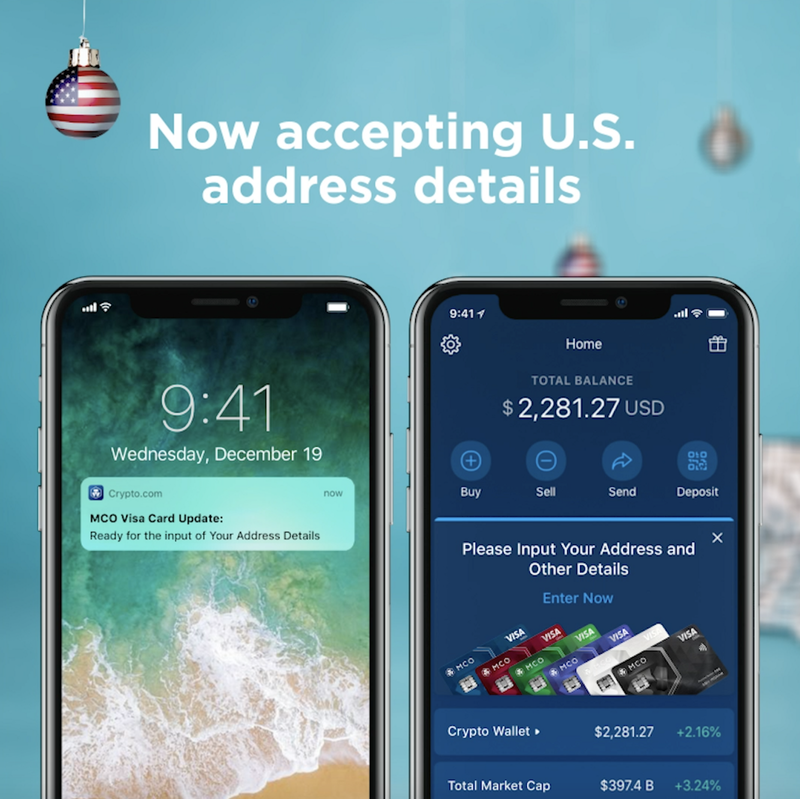 Crypto.com started accepting address details for U.S. card reservations during the start of the holiday season. The first CRO Token Airdrop snapshot took place on 7 Dec, at 8:00am UTC for eligible MCO tokenholders in the app. Since the airdrop announcement, the platform saw a large inflow of MCO and a solid increase in MCO lockups. Crypto.com is calling for active and enthusiastic community members to join as ambassadors to support the community as it scales and grow. Read about the application here or apply here. Our University is back to help give an insight to those new to crypto. It can be found on the website at www.crypto.com/university. Following the announcement of Ledger and Crypto.com Pay’s Memorandum of Understanding (MOU) signing, Coin Telegraph and South Korean publications Tokenpost, Datanet, and Newswire featured the news on their respective sites. Coin Bureau reviewed Crypto.com MCO and wrote a piece on their interview with our CEO Kris. Read the interview and review here. Crypto.com was recognized with the ‘Most Innovative Employer Brand Awards’ — Bronze at the LinkedIn Talent Insights and Awards Night, Hong Kong.